Velocirapture is a first person shooter capture the flag game developed for the PC as part of my Team Game Production II and III classes. 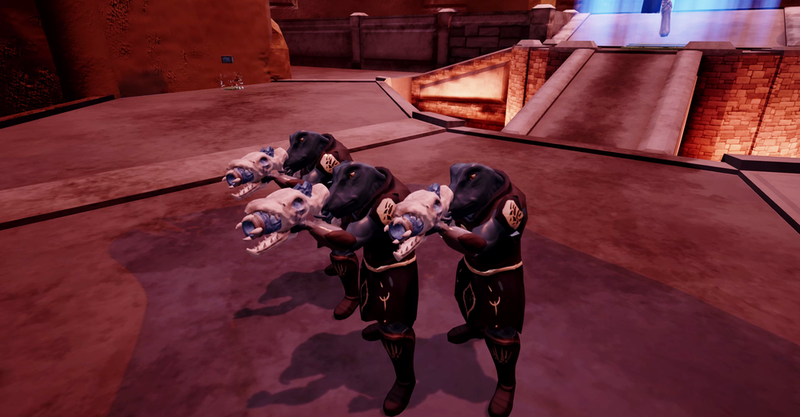 Players compete as one of two clans of dinosaurs, fighting to determine which is the superior tribe. 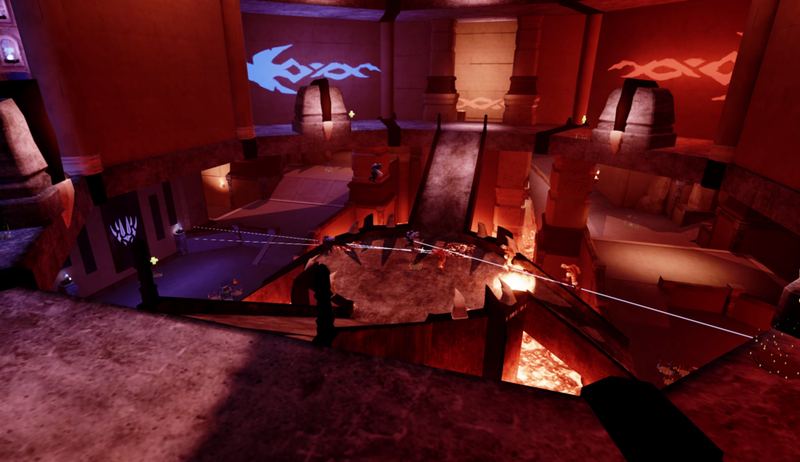 The game features two game modes: a classic CTF called Velocicapture, and a variant called Bounty where players collect and return in the teeth of the fallen for points. Sprint Plan: Each sprint, I worked with the team to create a sprint plan detailing what the team needed to accomplish and how we planned to work. Product Backlog: I created the product backlog to track our progress, and I helped the team maintain it throughout the project. Team Change E-Mail: Partway through the project, a team member transferred to another team. This e-mail is how I told my team the news. Oversee sprint planning, create and own the product backlog, and keep track of progress throughout sprints. Create and own the Asset & Development Plan in consultation with the rest of the team. Monitor other documentation and ensure its accuracy across the project. Lead team through Sprint Reviews and Sprint Retrospectives, and document those conversations. Plan and manage QA and user testing for each milestone.